This year I didn't plant a garden because I was expecting to have moved by this time (which hasn't happened yet), but for those of you who have, you must be just about ready to harvest your zucchini and tomatoes. Last year at this time, I posted the summer pasta, this year I am giving you another option for those fresh veggies. 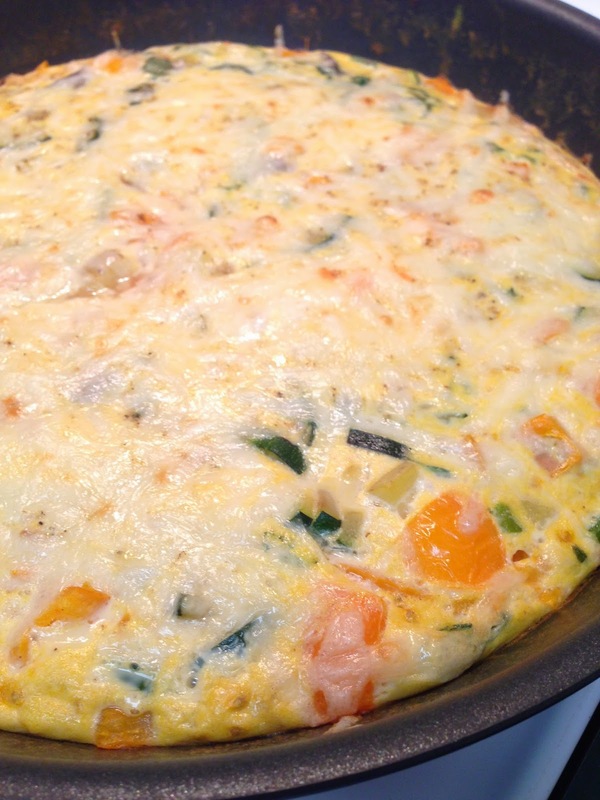 Frittatas are great weeknight meals because they are fast to prepare and can be made with a variety of veggies and cheese. 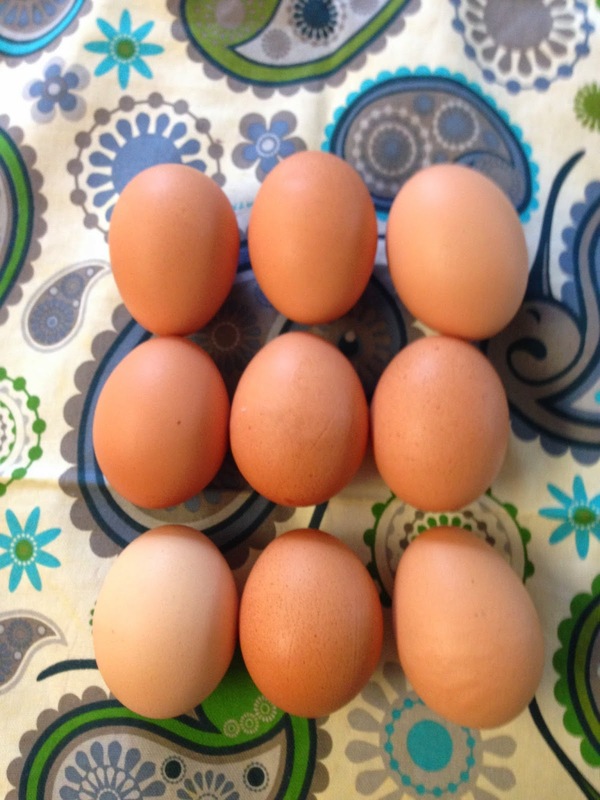 Have you ever wondered what the difference is between a quiche, a frittata, and a strata? The biggest difference is the starch they are made with. Quiches are made with a pastry crust, frittatas are made with potatoes (although I have also seen them with pasta or rice), and strata are made with bread chunks. 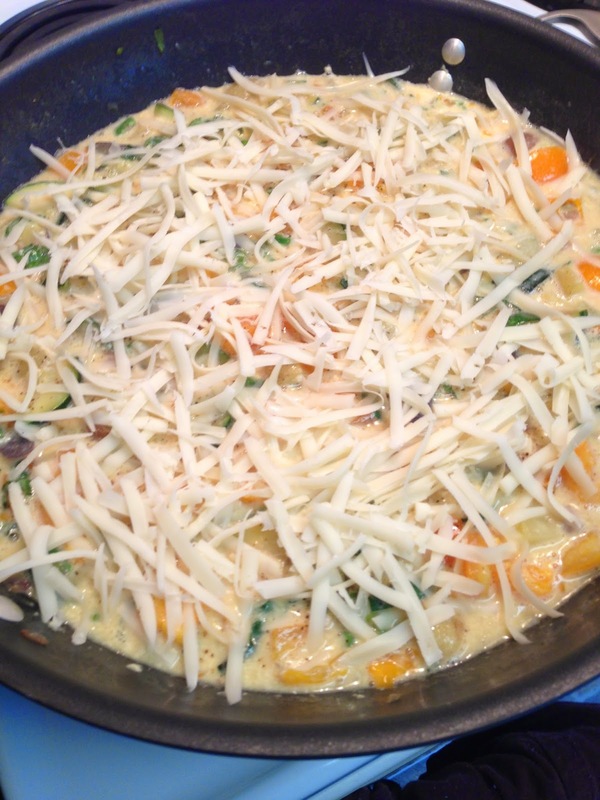 Frittatas are great for using up the last bits of vegetables in the fridge as well as for using leftover rice, pasta, or boiled or roasted potatoes. To deseed the tomatoes, just cut them into quarters and use your thumb to push out the seeds. 2. 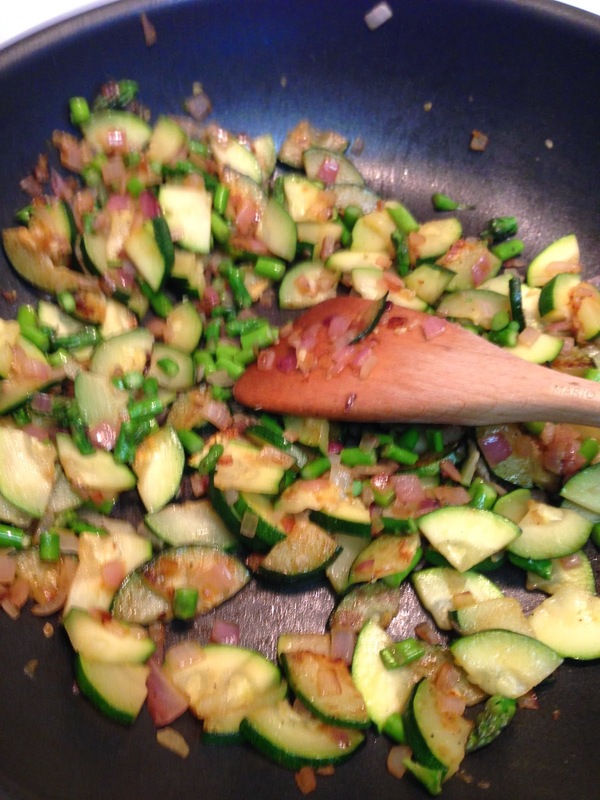 Sauté the onions, garlic, zucchini and asparagus until they are tender, about ten minutes. 3. 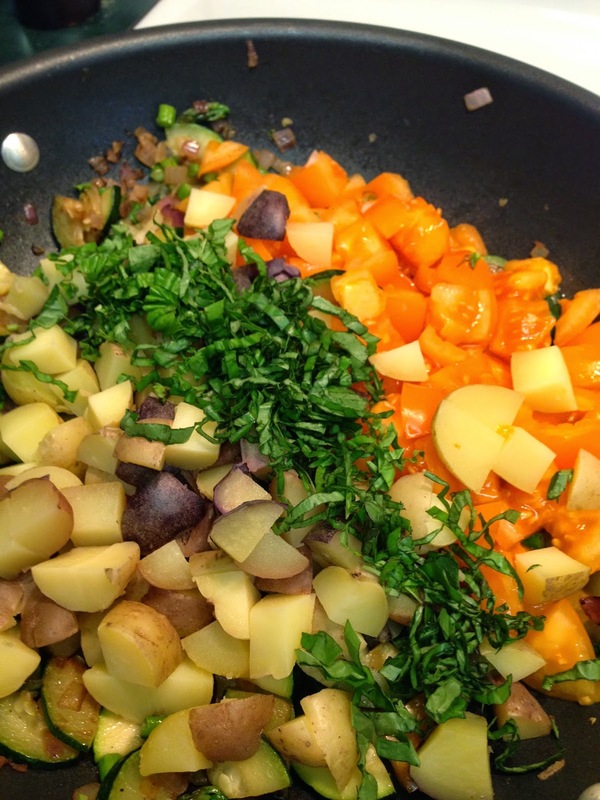 Add the cooked chopped potatoes, tomatoes, and basil. 4. 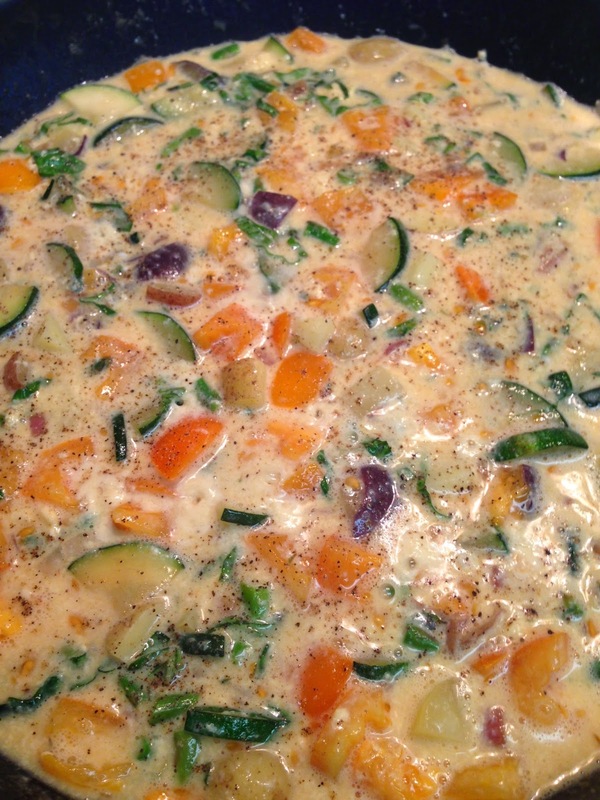 In a bowl, beat the eggs, milk, mustard, salt, and pepper and immediately add to the pan. Allow the mixture to heat and set for about 3 minutes. 5. Top with the cheese and bake in the oven until set, about 10 minutes. It will still be jiggly when it is done, but when you cut it, the eggs will not run into the cut line. If you would like it to be crispy on top, broil it for about 2 minutes at then end of the cooking time. 6. Let sit for at least 5 minutes before serving. This is also great at room temperature or even cold out of the fridge. You can eat leftovers on top of toast for an open-faced fried egg sandwich-type thing.